At Denver Seminary, our intention is to graduate life-long learners. We hope these online courses offer a way to refresh and revisit areas of study that can greatly influence our faith journeys. We also want to encourage you to share these with your friends and family or to use them as teaching tools in your church or ministry context. "Unlocking the Parables of Jesus"
The Seminary is pleased to present its second FREE online class. This class is taught by Dr. Craig Blomberg, Distinguished Professor of New Testament. “Unlocking the Parables of Jesus,” begins by discussing the parable of the Prodigal Son, and then looks at several approaches that have been used to unpack and understand the parables. Dr. Blomberg will then walk through over a dozen different parables, exploring their interpretation and application to our daily lives. "What's that Book About? Understanding the Big Story of the Bible"
Denver Seminary is pleased to announce a FREE online course* taught by President Mark Young! Join us for a 5-week study that examines how the Bible, from Genesis to Revelation, tells an overarching story. Not only will you learn about God’s story, you will discover the purpose and role you play in it. 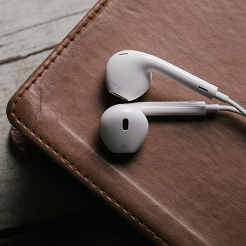 Along with weekly video lectures from Dr. Young, you will receive the downloadable audio and topical articles written by Denver Seminary faculty and alumni. You can start the course at anytime by registering here for FREE. *This class is not intended for credit towards any Denver Seminary degree program.